The lipstick glides on smoothly, delivering opaque coverage and a satin finish. 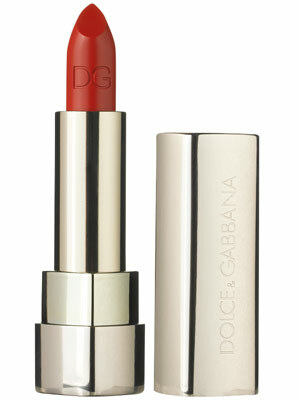 With just one swipe, it leaves an intense poppy color that stays put without drying out lips. Though the hue is gorgeous on all skin tones, it can make less-than-pearly whites appear a touch yellow.